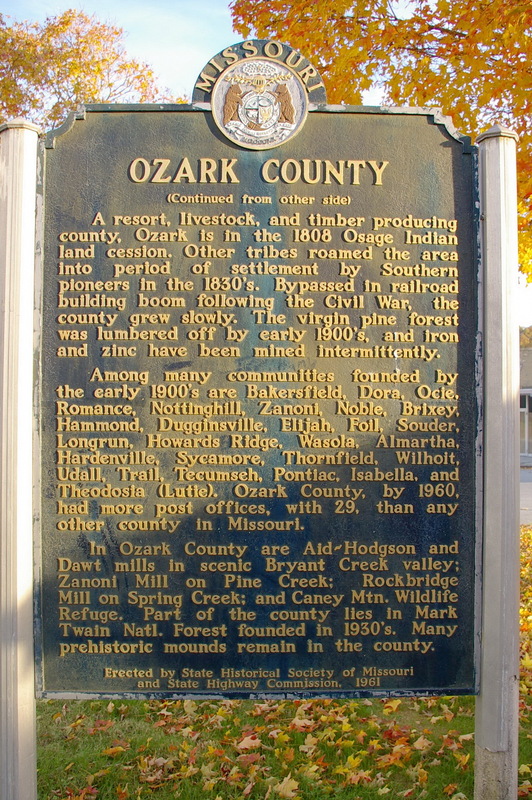 Ozark County is named for the Ozark Mountains, which are an anglicized form of the French “aux arcs” meaning “Aux Arkansas” which is “in the county of Arkansas”. 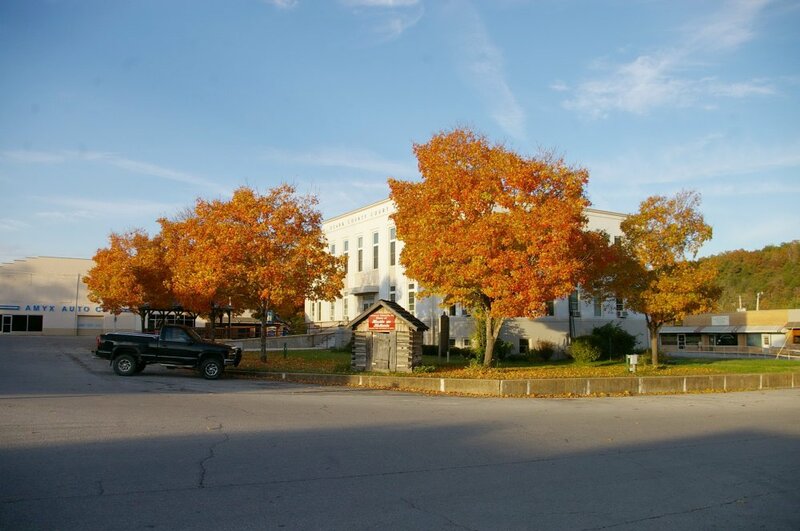 Description: The building faces west and is a two story concrete and stone structure. The west front has stone trim around the central entrance on the first story. The windows are vertical with panels between the upper and lower windows. There are north and south wings. This was a Work Projects Administration project. 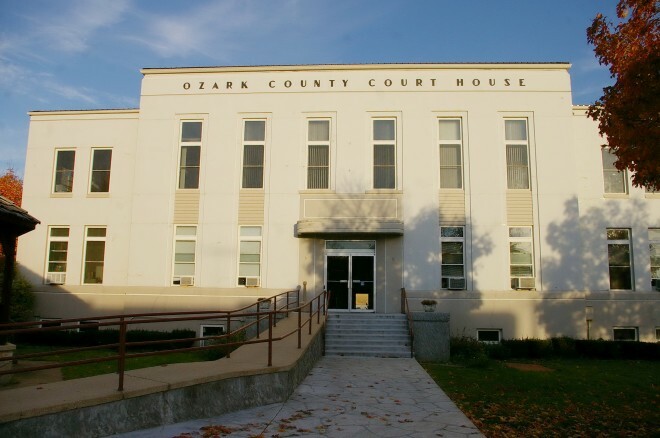 See: The architect, Earl Hawkins designed courthouses in Howell County, Laclede County and Webster County. Note: The first courthouse was built in Rockbridge in 1842 and the building was destroyed by fire in 1858. 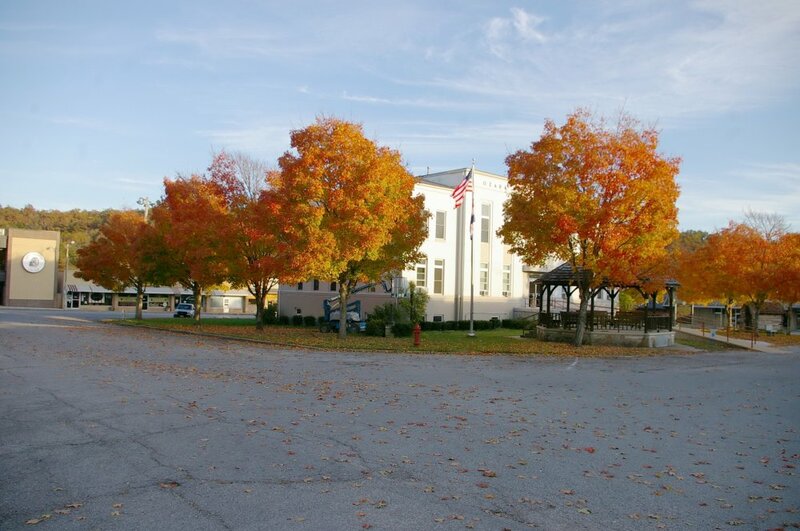 The second courthouse was built in Gainesville in 1860 and the building was destroyed by fire in 1864. 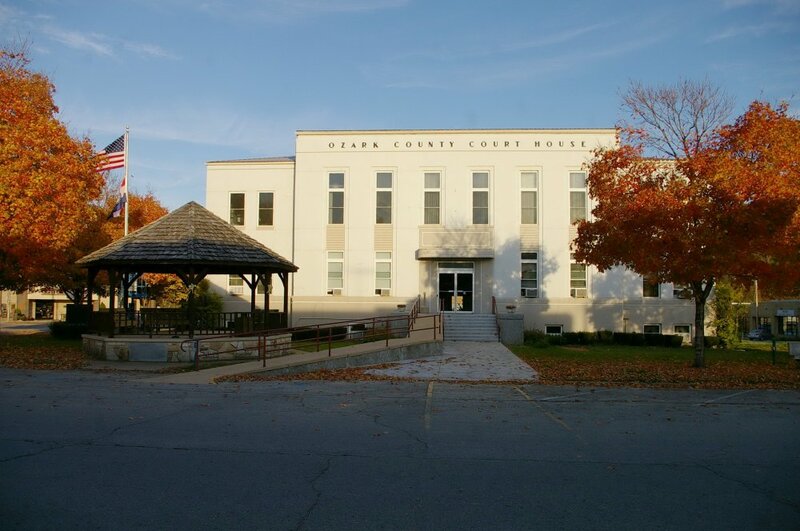 The court met at the Spring Creek schoolhouse until 1873, when the third courthouse was constructed by W J Piland at a cost of $1825. The superintendent was R P Ellison. 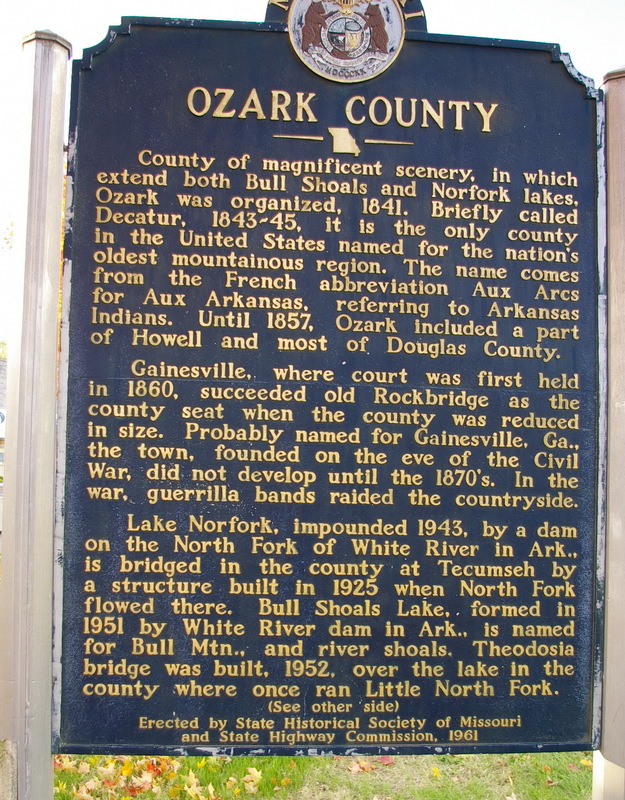 The building was destroyed by fire in 1934 and the old Christian Church building was purchased. This building was destroyed by fire in 1937. 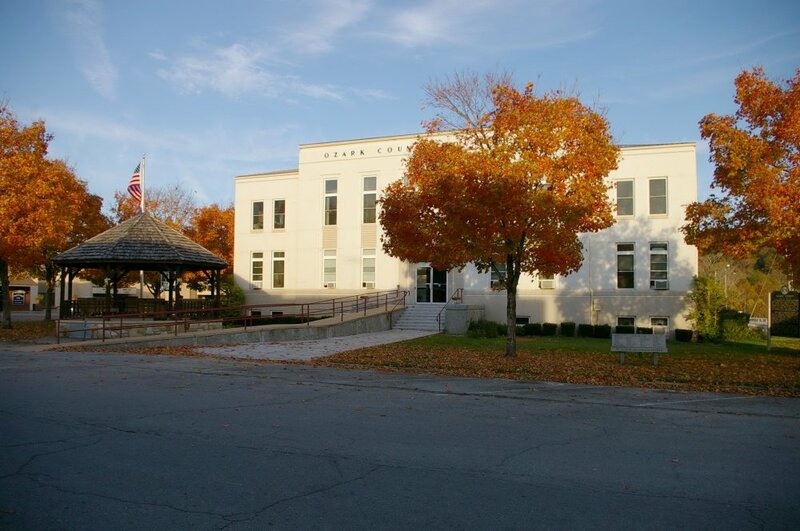 The cost of construction of the present courthouse was $34,950.